Four of Doncaster’s parks have been recognised as among the best in the country, receiving awards at a prestigious ceremony. The Keep Britain Tidy Green Flag award, which is given annually to the best parks and green spaces in the UK, is renowned as a hallmark of quality and helps to attract visitors from across the country. In addition to an award for Cusworth Hall and park, which already had Green Flag status, new awards for Bentley, Quarry and Sandall Parks were announced at a ceremony in Hull. The awards recognise the progress being made in creating attractive and enjoyable open spaces for Doncaster’s residents and visitors. A partnership between council staff, dedicated groups of volunteers and ‘Friends-of’ groups has seen these parks develop to such a high standard that they will now be listed as among the best parks in the country. The timing of the award comes half way through ‘Love Parks Week’, where people across the country are celebrating the fantastic parks where they live. 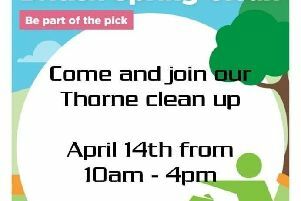 Doncaster Council has supported this event with a lot of online activity, promoting its parks on social media. Friends of Sandall Park chairman Sandra Crabtree said: “This is an amazing achievement for the park. “Our aim has always been to achieve this standard but the baseline was so low 15 years ago. Cabinet member for Communities, the Voluntary Sector and Environment, Cllr Chris McGuinness, said: “This is an absolutely fantastic achievement, and I want to thank all of the staff and hard-working volunteers that continue to put in so much time and effort to make our local parks even more enjoyable. Following the award wins, there will be small celebration events at Bentley Park, Quarry Park and Sandall Park on Friday 21 July, which will give council staff and volunteers a chance to recognise their hard work and celebrate this achievement. There will be a meet and greet from 11am in Sandall Park on the main picnic area when the Green Flag will be raised.